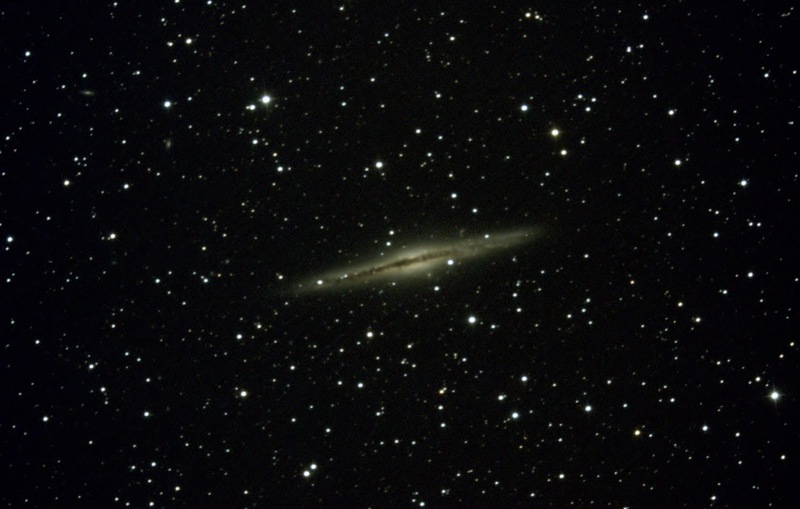 NGC 891 is an Edge-On spiral galaxy with a faint dust lane along its equator and interstellar gas. It's span from tip to tip is about 100,000 light years. Very similar to our own Milky way. 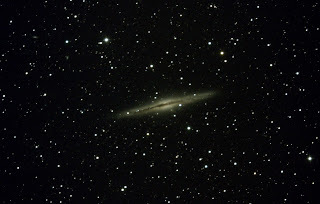 Distance is about 30 million light years from Earth in the constellation Andromeda. Imaged in Fort Davis, TX on November 10, 2012. 5-min exposure X 20 images.